The First and Only Zeltiq® in Lebanon, this is the original, several copies are available little or no result. The Zeltiq Procedure is a new FDA-approved, non-invasive way to gently and effectively reduce fat in targeted areas of your body, resulting in noticeable, natural-looking fat reduction in the treated areas, like the abdomen, love handles, thighs and knees. 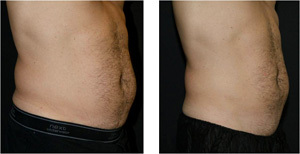 What makes the Zeltiq™ Procedure different is its advanced cooling technology that targets and eliminates fat cells. Unlike traditional invasive surgical procedures, the Zeltiq Procedure is non-invasive, with no needles and no incisions. There is no need for anesthesia or pain medications and there is no recovery time. You can see why it is taking the U.S. by storm. During the procedure, a non-invasive applicator delivers precisely controlled cooling to target and eliminate fat cells in specific areas of your body. Patients have minimal redness for up to 1 day and mild bruising may follow for a few days. When fat cells are exposed to cooling during the Zeltiq Procedure, it triggers a process of natural removal, which gradually reduces the thickness of the fat layer by slowly and safely eliminating the damaged fat cells. The result is a reduction in fat bulges that can reach several centimeters, and is visible in most patients in about two to four months. 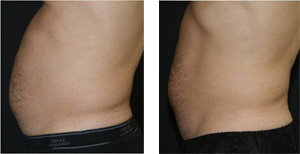 Ideal candidates for the Zeltiq Procedure are relatively fit, but have some mild to moderate size fat bulges that are not easily reduced through diet and exercise. For those who are seeking spot reduction for specific areas of fat, but are not considering a surgical procedure, the Zeltiq Procedure is an ideal solution. It is not a way to lose weight or treat obesity. The procedure is performed in a medical office, under the supervision of a physician specializing in dermatology or plastic surgery. 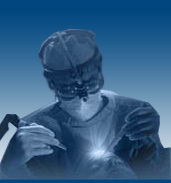 How is the Zeltiq Procedure different from other procedures? 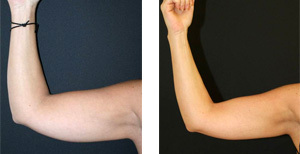 The controlled cooling of the Zeltiq Procedure targets and eliminates only fat cells. Other treatment modalities such as lasers, radiofrequency, and focused ultrasound are non specific and may affect other adjacent tissue. Clinical studies involving hundreds of patients show that, for properly selected patients, the Zeltiq Procedure is an effective way to reduce fat without the pain, risk, and recovery time of surgical procedures. 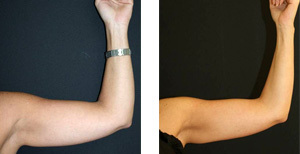 The result is noticeable, natural-looking fat reduction. "I would like to thank you for the new Zeltiq machine that you used on me and gave me very good results on my stomach and lower tummy. First 3 weeks I felt nothing but after 2 months I started having a nice shape and flat tummy. I really appreciate your effort in helping me recognize that I have a nice body like before. I recommend it to everybody who has the same problem.